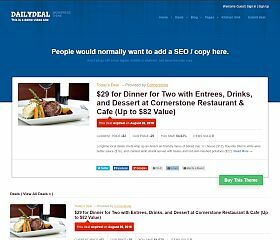 DailyDeal is a complete end-to-end solution for those looking to set up a daily deals website (or section on an existing site). Features: countdown timer, number of deals bought, savings, allowing merchants to submit their own deals for approval on the front-end, affiliate program management, coupon and promotions management, and has been designed to help you be as successful as possible with your site. 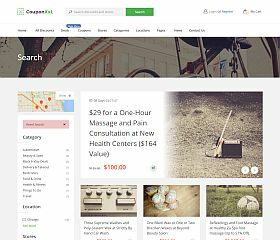 CouponHut is a multi-faceted theme that offers you the ability to showcase both deals and coupons on the same site (or just use one or the other). Included with the theme you will find: a built-in ratings system, 10 custom widgets built-in, powerful search features, unlimited color schemes to choose from, responsive Bootstrap layout and design, Google Fonts integration, and more – setting up your own deals or coupons site has never been easier. Kupon is the ultimate theme for creating a daily deals website like Groupon or LivingSocial. This powerful theme includes: WooCommerce support and integration, multiple vendors to create your own marketplace via the supported WC Vendors plugin, ability for users to submit deals, voucher and deal management, multiple payment gateways supported, custom widgets, multiple page/post templates, a countdown timer, and SEO-optimized. 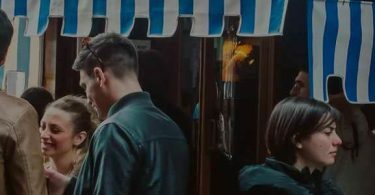 doo has been built for you to create a deals or discounts marketplace. Compatible with WooCommerce, it allows you to easily set up a daily deals marketplace, and includes: group buying functionality, supports affiliate and digital products, custom search form, accept submitted deals, countdown timer, booking and availability calendar built-in, flag or report listings, and more! 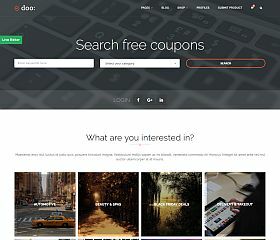 CouponXL is one of the top-selling themes of its kind on ThemeForest. Multi-functional, the theme is able to work as a discount or coupon site or a daily deal or affiliate website, it can accommodate your needs with ease. It features a wide range of functions from front-end submission by visitors to social logins, social logins, custom dashboards, ratings, and more. 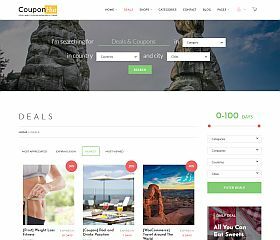 CouponXxL builds upon another popular theme (CouponXL) to deliver an even more robust and powerful solution that will fit your daily deal website needs. Dozens of features and customization options include: ability to one-click pay vendors, display deals like Groupon or LivingSocial, affiliate program, function as a coupons website or a deals website… or as both, built-in credits system, and many other features that you’re sure to find useful. 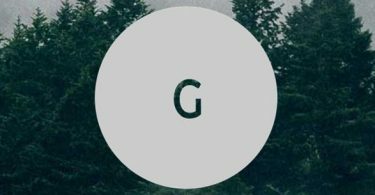 WooCommerce Group & Daily Deals is a WordPress plugin that was built to integrate seamlessly with WooCommerce, giving your site the functionality of sites like Groupon and LivingSocial. This plugin allows you to easily add deals to your site with a countdown timer and the ability to turn a deal “on” only if it meets the minimum number of buyers. So you’re looking for a WordPress theme to power a daily deals website or section of your existing site? Look no further, as there are a handful of ready-made solutions that will give you most (if not all) of the features and functionality of sites like Groupon or LivingSocial. If you’re trying to tap into new revenue streams and open the floodgates to let sales come pouring in, you will find that these themes have been given immaculate attention to detail, enabling you to create a state-of-the-art site that looks good (and makes money too). Incorporating many of the things that made these flash sale sites so popular, you can use the power of social sharing, group buying, and last minute deals to help you generate more income. Avoid the expensive development costs or starting from scratch, these solutions give you all you need to create a professional-looking and highly functional site that will drive sales and help you generate more revenue. And there you have it, here are a few of the best WordPress themes and plugins for running a flash sales, group buying, or daily deal site!